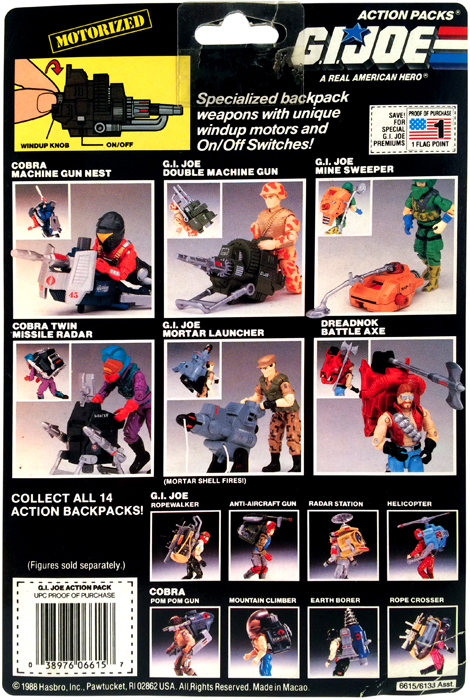 There were six Motorized Action Packs released in 1988, featuring windup motors and an on/off switches. 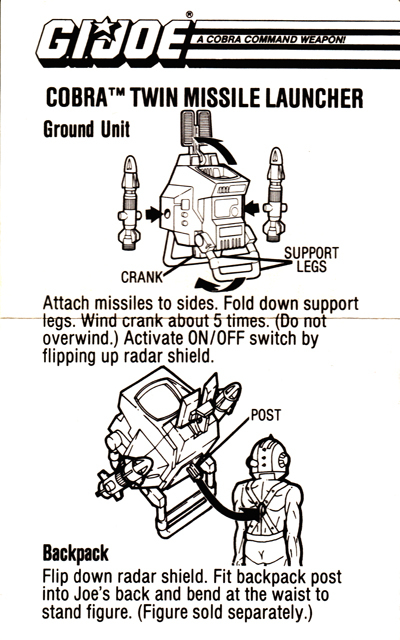 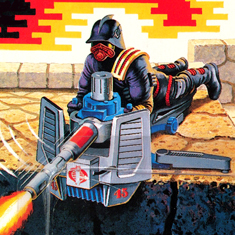 NOTE: Although the card art shows Toxo-Viper manning the Twin Missile Radar, and he's pictured above, he did NOT come with the pack. 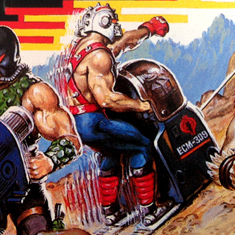 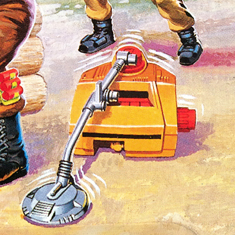 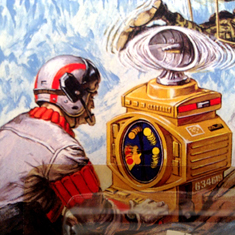 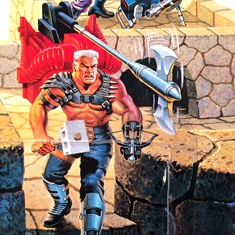 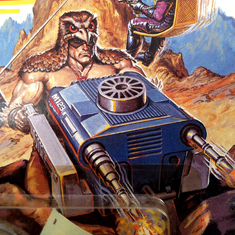 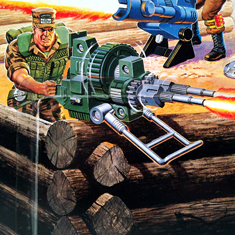 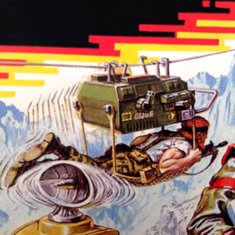 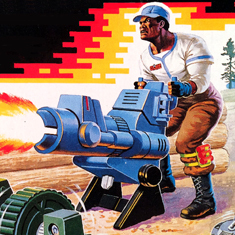 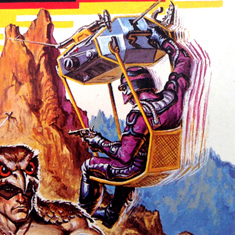 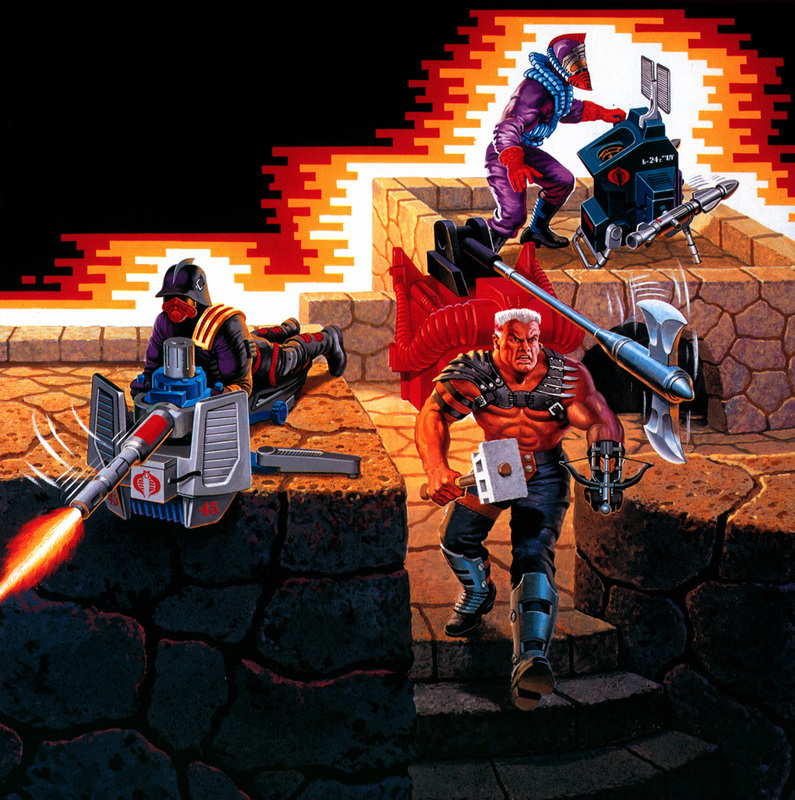 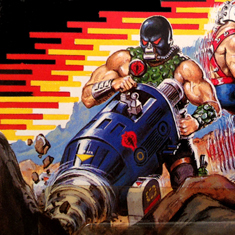 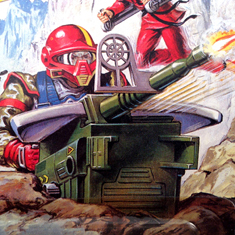 An unobscured version of the package art was re-printed in the 1989 Calendar by Landmark. 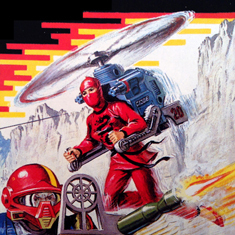 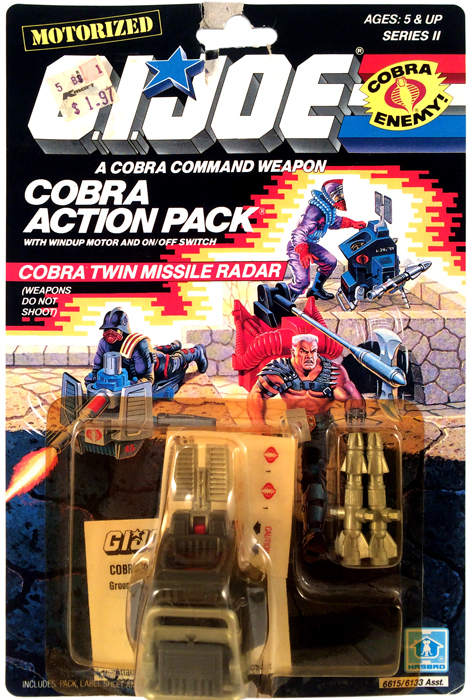 There were six Motorized Action Packs released in 1988. 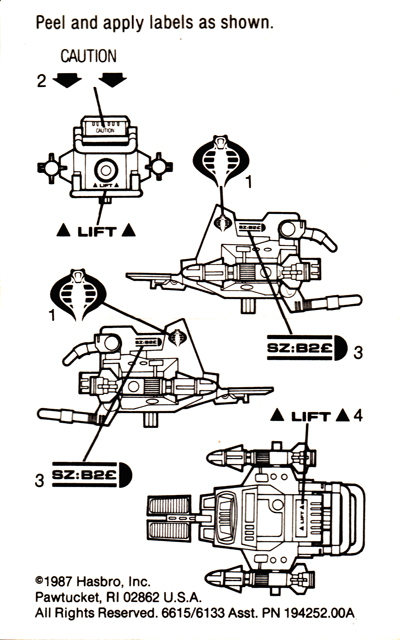 Click the images below to see the other five!